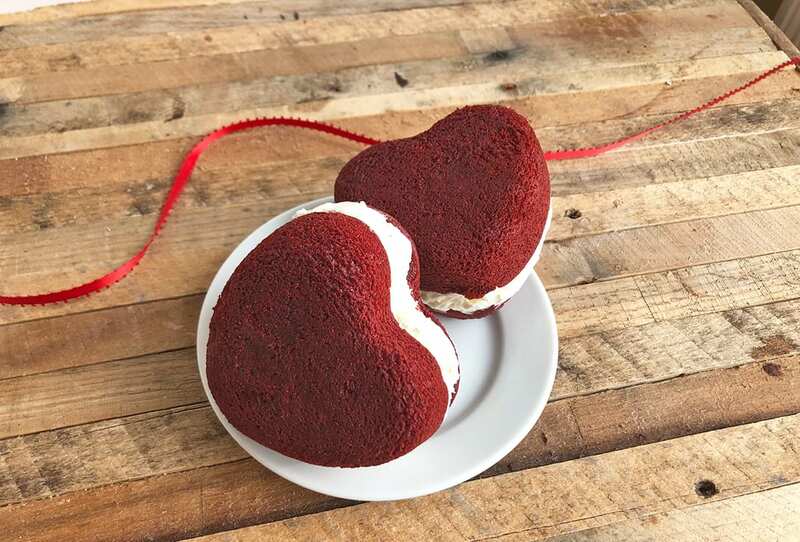 Your Valentine will love our Heart-Shaped Red Velvet Whoopie Pies. We start with two layers of classic, rich red velvet cake made with cocoa and real Lancaster County buttermilk and baked in the shape of a heart. 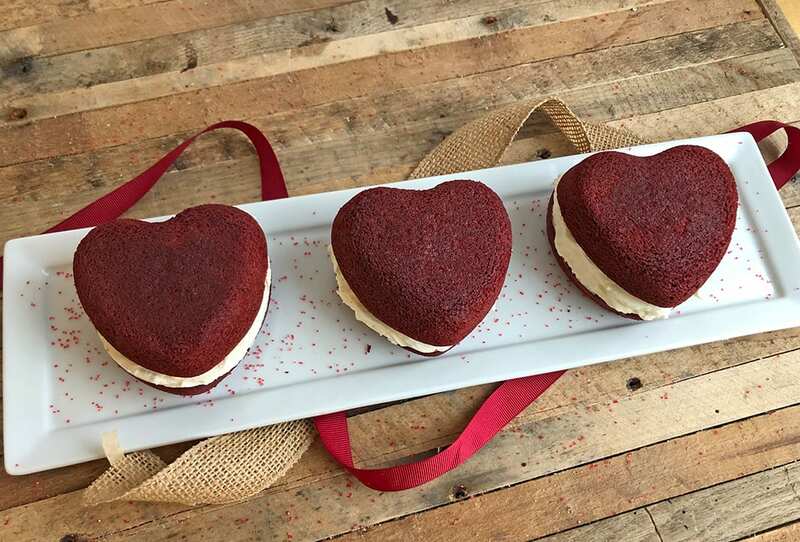 In between we spread a generous helping of smooth, sweet vanilla filling. 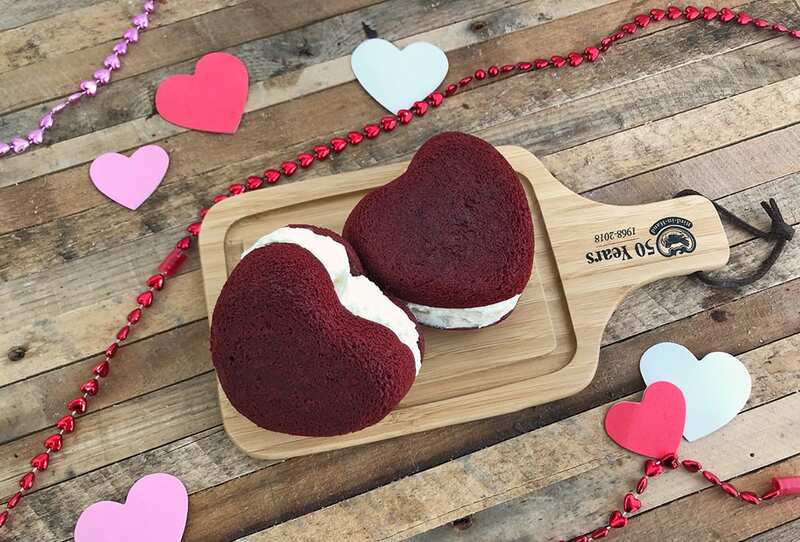 Order a half dozen – or a whole dozen – a Valentine for every month of the year! 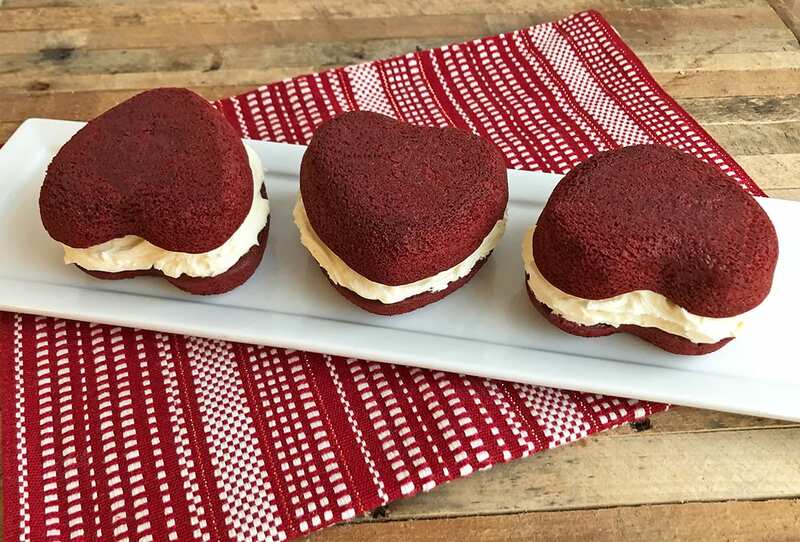 Give the Valentine’s Day gift of heart-shaped red velvet Whoopie Pies with vanilla filling. 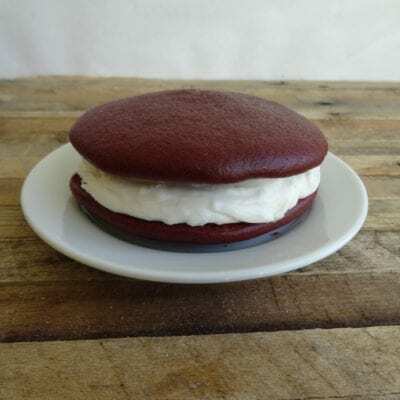 Order our Amish-style whoopie pies online direct from our Lancaster County bakery. Individually wrapped for freshness. 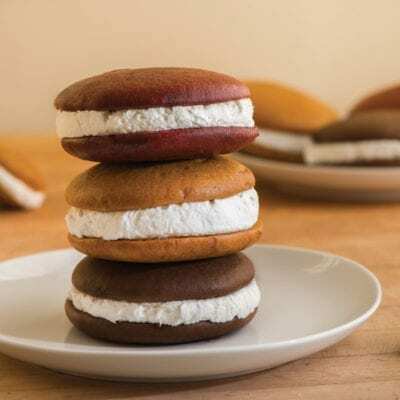 Choose 6- or 12-count; 12-count Whoopie Pies are also available in a gift box. Nationwide delivery. Our bakery items may contain or come into contact with wheat/gluten, eggs, peanuts, tree nuts, milk or soy products. Please email or call (800) 524-3429 for further details.